Singtel is projected to trade at a yield of 5.7% versus StarHub’s 6.6% amidst TPG’s entry. 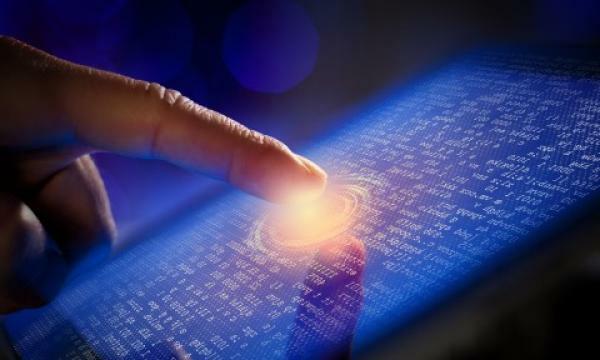 The enterprise segment may hold more promise for telcos going into 2019 with StarHub and M1 gaining traction of the back of growing demand for managed services and information and communications technology (ICT) solutions, according to a report by OCBC Investment Research (OIR). “Still, the major caveat is that margins from such businesses are typically thinner,” OIR analyst Joseph Ng said, citing how M1’s fixed services earnings before interest, tax, depreciation and amortisation (EBITDA) margin is approximately 10% points lower than that of the firm’s on service revenue. Whilst Singtel seems to have bucked the trend with ICT revenue dropping 5% YoY in H1 FY19, the report noted that this is largely due to large non-repeat contracts, as well as the government’s temporary pause on new ICT systems. “Amongst the three telcos, we believe that Singtel’s geographical diversification should help provide some relief,” Ng highlighted. Singapore constitutes 33% of Singtel’s H1 FY19 profit before tax (PBT) and exceptional items, whilst local mobile service and equipment forms 9.1% of group operating revenue. Across the telcos, Singtel is projected to trade at a yield of 5.7%, whilst Starhub is estimated to trade at 6.6% resulting in a relatively narrow spread, Ng said in the report. The old story for mobile space will continue to play out for Singapore’s telcos as TPG Telecom’s entry into the fray in 2019 and greater traction for SIM-only plans could further soften average revenues per user (ARPUs). In 2018, Keppel Corporation and Singapore Press Holdings (SPH) announced a pre-conditional voluntary general offer (VGO) for M1 at a cash offer of $2.06 per share, which presents value to existing M1 shareholders, through their special purpose vehicle Konnectivity, Ng said. M1 is expected to trade at a yield of 4.9% in the next fiscal year although this may change should the VGO be successful given that Konnectivity has already highlighted that dividends could be affected on the back of transformation efforts, the report noted. “At this juncture, we still believe that all other options are still on the table, such as Axiata Group mounting its own offer potentially in concert with other parties or Konnectivity raising the offer price in an attempt to consummate the deal,” he added. According to the report, StarHub witnessed a spurt in its share price which rose to a four-month high on the back of the positive sentiment surrounding M1’s ongoing pre-conditional VGO on top off its aggressive cost cutting measures in October that saw 300 employees axed. In the Pay-TV realm, current fixed cost models may continue to be a challenge for telcos, especially as over-the-top (OTT) streaming services from providers like Netflix fight for customer share. StarHub announced in November that it would pull the plug on its cable services to make way for more efficient services through an all-fibre network.